It is about 4 Hong Kong divers going the maximum depth of human endurance to record a Japanese WWII warship Kuwa that was sunk in Ormoc Bay, Philippines under 120 m of water. The survivor of Kuwa tells stories, discusses the cruelty of war and what we can learn from the people who lost the war. During 1944, Allied forces and the Imperial Japanese Navy fought pitch battles in Leyte , Philippines . The Japanese were concerned that if Leyte fell to the Allies, then the entire Philippine archipelago would fall as well. It was the last final engagement of Japanese Navy. It is under this backdrop of battle of Leyte , on Dec 3, 1944 , Japanese destroyer Kuwa escorting Japanese landing ships departing from Manila Bay came to Ormoc Bay to assist the Japanese land force. Just after mid night in Ormoc Bay , 3 US Navy destroyers made surface radar contact on a pair of Japanese destroyers Kuwa and Take, Less than 10 min into battle, Kuwa succumbed to the combined fire of the two US destroyers, became one burning mass and sunk under 120 m of water. Paul G. Neilsen, Australian, dive shop owner and world class technical diving instructor trainer, managed the diving operation and provide equipment support. 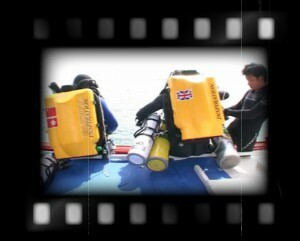 Man, Hong Kong, commercial diver, technical diving instructor and rebreather diver, bottom diver and support diver. 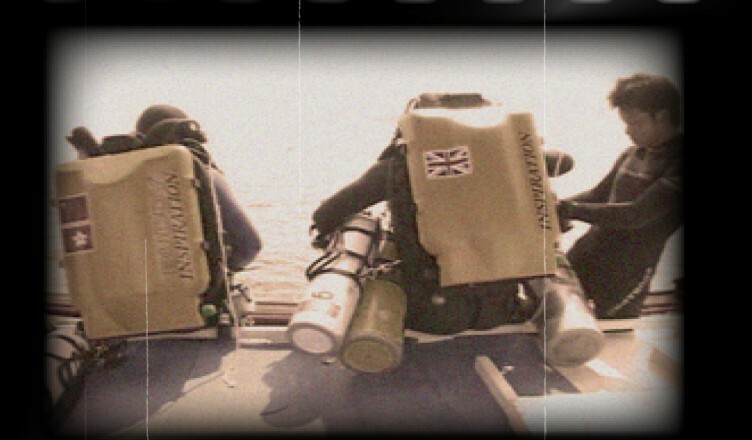 Andrew Couch, English, technical diving instructor and rebreather diver, logistics and training coordination. 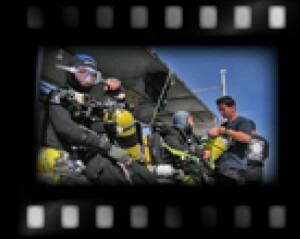 Oliver, Hong Kong, graphic designer, technical diving instructor and rebreather diver, bottom diver and support diver. Kelvin, Hong Kong, Storage Network Specialist, technical diver, hbottom diver and support diver. Jonathan, Hong Kong, student, technical diver and rebreather diver, bottom diver and support diver. Oliver Cheung coordinated 3D animation of the ship Kuwa. Yuen Ka Fai produces underwater video projects for individuals and dive shops. He has done similar deep water work on the Princess of the Orient documentary. See Princess of the Orient DVD. Open University – He has appeared frequently in news and documentary regarding Sino-Japanese history. He commended that this project is very worthy for Hong Kong people to pursue. He guided the production team to focus on topics that seldom discussed in public about Sino-Japanese relationship.